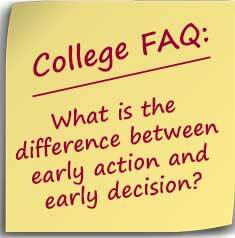 When considering early action vs. early decision, the major focus is on the fact that Early Decision (ED) is binding and Early Action (EA) is not. Binding means that if you are accepted, you agree to attend the college and withdraw or not apply to any other colleges. 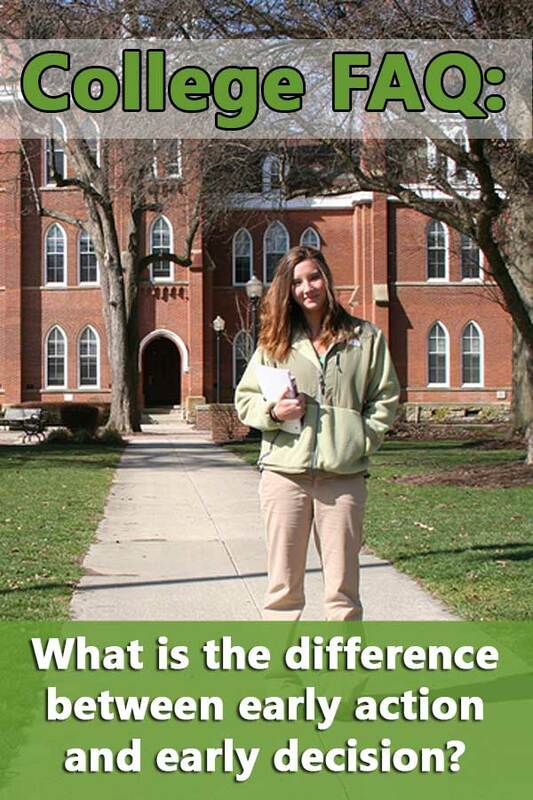 The reason to do so is that some of the most competitive colleges have much higher early decision acceptance rates. However, colleges where early decision acceptance rates are much higher than regular decision generally do not provide much in the way of merit aid. So students need to be prepared to pay their full Expect Family Contribution. The main reason why students would choose early decision over early action or regular decision is because students have a better chance of being admitted under early decision. This is true especially of competitive schools. However, students can only apply to one college through early decision. The only way for students to get out of an early decision commitment is to show that even with their financial aid awards, they cannot afford to attend the college. Early decision schools tend to have some of the more generous need-based financial aid around, but this is not always the case and families should make sure to use net price calculators before deciding on early decision vs. early action. At one time, the use of early decision was criticized since it meant that students who needed to know their financial aid award couldn’t apply early decision. Thus, early decision tended to benefit students from wealthier families while reducing the chances for admission for poorer students. Consequently, many schools dropped their early decision option. However, recently some universities have added the option back to their admission process but with some modifications. Applying early action generally doesn’t have any admissions benefits. However, often students must apply early action to receive consideration for all institutional scholarships and grants. Furthermore, since students still don’t have to accept until May 1st, they will have plenty of time to compare merit scholarships and financial aid awards. Also, some colleges waive application fees for students who apply early action. The money factor is often overlooked when considering early action vs. early decision. Students that don’t receive the expected merit aid under early action can simply apply to other schools or wait for the results from already submitted applications. Those who go the early decision route are unable to do so. Why wouldn’t someone apply early action if she had the option? A student who needs her senior fall semester grades and activities to strengthen her application might wait to apply regular decision. The following table lists over 300 colleges with early action deadlines. This is not a complete list nor does it include second early action deadlines. If you have any additions or corrections, please let me know. This information is part of the DIY College Rankings College Spreadsheet.